Cleaning up graffiti can be a time consuming process. First, someone at the city must be notified of the graffiti and its exact location. Afterwards, cleaning crews must be sent over to clean it up. Often, it is difficult to catch up with all of the graffiti that needs to be removed. 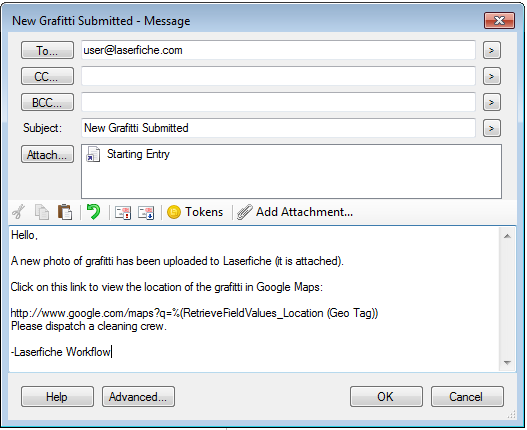 Here is how Laserfiche Mobile made cleaning up graffiti an almost real-time process for one city. 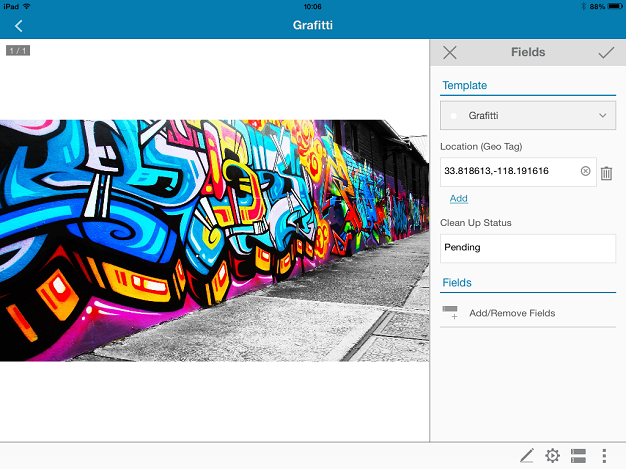 Whenever a police officer or other city employee notices some new graffiti around the city, he simply takes a photo of the graffiti on his iPhone or iPad with Laserfiche Mobile. 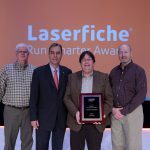 This photo is sent directly into the Laserfiche repository. An email is automatically generated and sent to the public services department. 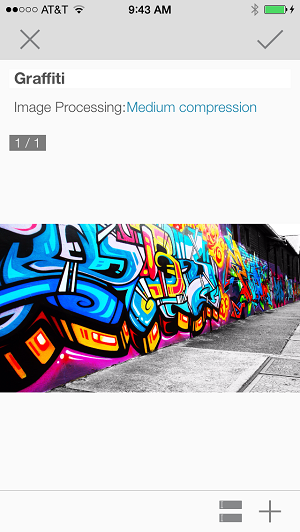 This email notifies the department that a new photo of graffiti has been uploaded and provides a link to Google Maps of the location of the graffiti, as well as the attached photo. 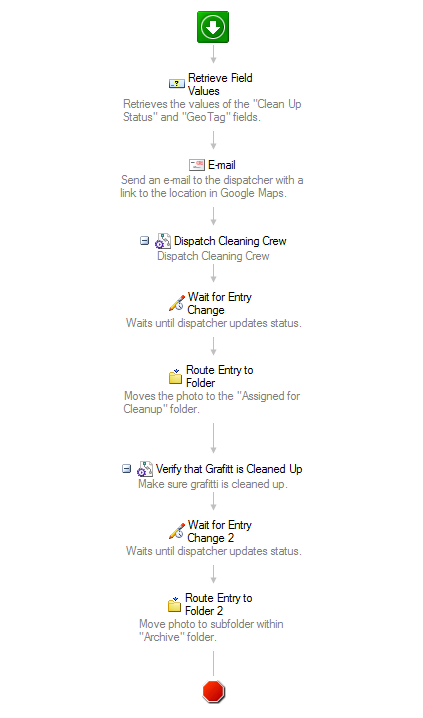 The public services employee opens the image from the link and is able to see directions on what to do after a cleaning crew is dispatched by looking at the image’s business process details. 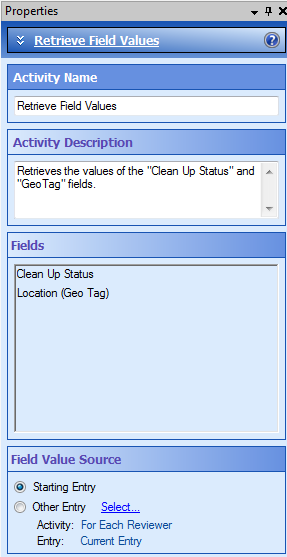 The employee dispatches the cleaning crew to the location and then updates the value of the “Clean Up Status” field to Cleaning Crew Dispatched. Once the cleaning crew cleans up the graffiti, they report back to the dispatcher. 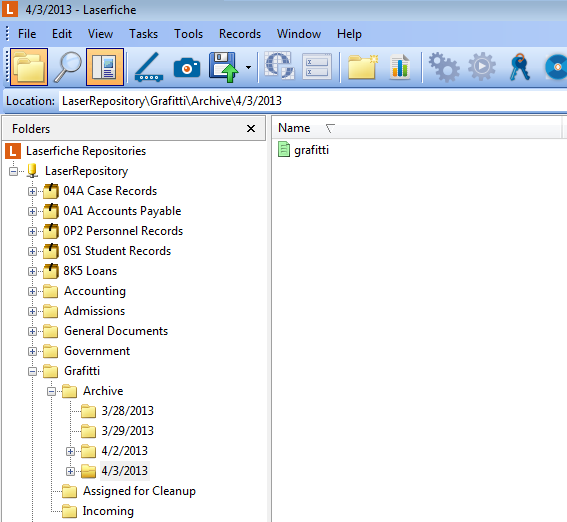 The employee then opens the image metadata from the image which has now been moved to “Assigned for Cleanup” and updates the status to “Cleaned Up.” The image is then moved to a subfolder in the “Archive” folder for archival. The business process details have been updated so that the whole history of the document is visible. 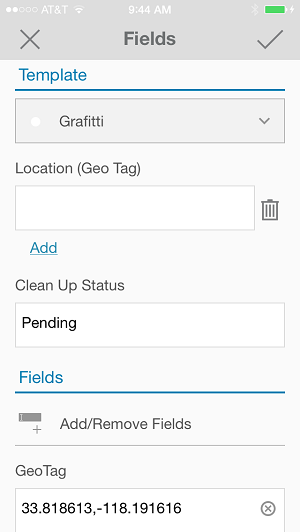 Once this option is enabled, every photo sent to the repository will have the geotag inserted into a specified field. 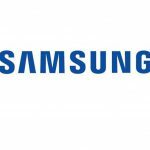 This field will also be set as read-only so that the value cannot be changed by the person taking the photo – in order to ensure veracity of the geographic data. In order to construct the Google Maps URL, the coordinates entered into the Location (Geo Tag) field must be converted into a token with the Retrieve Field Values activity. This Google Maps URL is used when configuring the E-Mail activity. 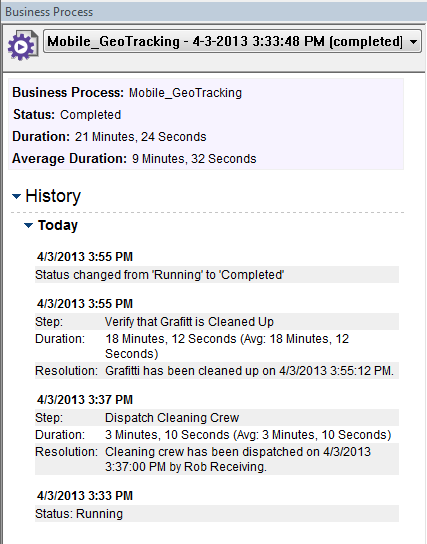 Reporting graffiti is quicker and easier, so graffiti can be cleaned up faster. 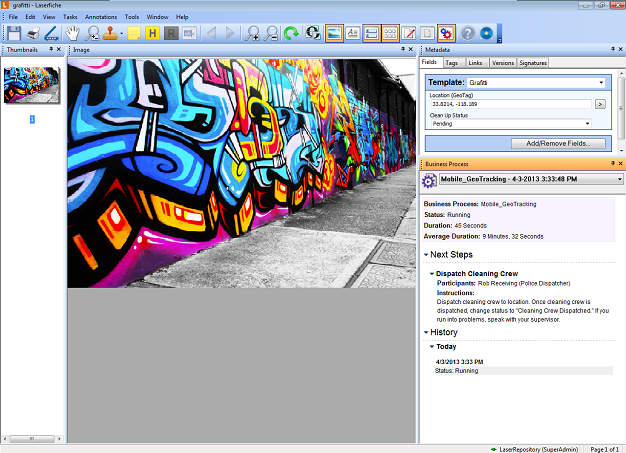 Geotag data is exported into an external database which uses a “geographic” field type so that SQL reports can be run on the location information, to analyze which areas had the most graffiti. This knowledge allows the police department to station more officers at the site to locate suspected perpetrators. 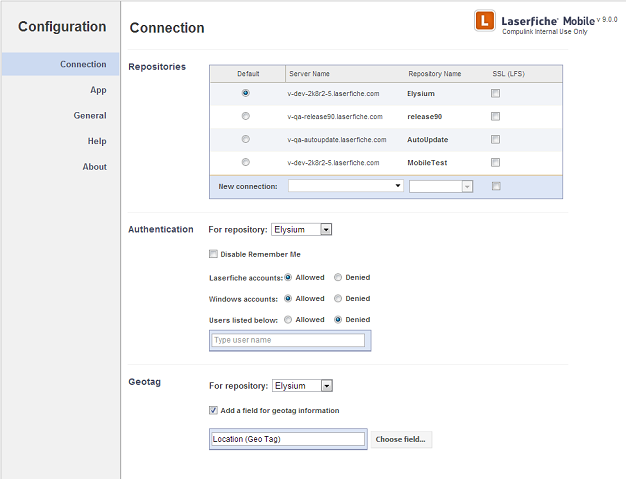 App side compression allows for multiple photos to be sent to Laserfiche quickly and efficiently.